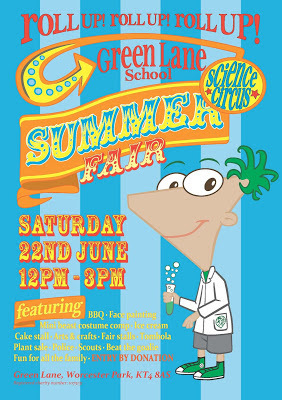 Green Lane School is holding their Summer Fair next Saturday (22nd June) and this one has a Science Circus theme. I have always had a bit of an interest in science and I am delighted to see a local school promote science so enthusiastically in this way. The school has been focusing on what they call the wonderful world of science this year and felt it important to reflect this. The ‘Circus’ part is not merely a random description either. The School is being visited by a big top Circus on Friday 13th September and it was decided to combine this with the science stuff to create the theme for this year’s summer fair. 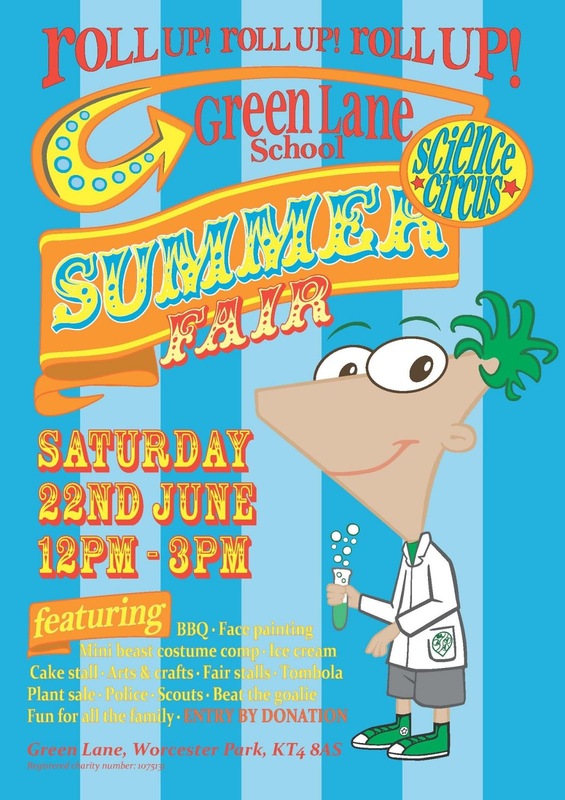 “join us on the day to take part in some wonderful activities, the highlight being the Science Circus hands on area - come and try your hand at a variety of experiments provided by the Shooting Stars Circus Skills team. For the younger family members we have a dedicated Toddler Zone, hosted by the recent winners of a Netmums award for Favourite Preschool Activity - Jiggle & Jam. Of course, we have all the traditional attractions of a Summer Fair, including an ice cream van, face painting, plant stall, splat the rat and a BBQ offering some tasty feasts! Entry fee is a donated amount chosen by you. All monies raised on the day going towards the fund to buy iPads for the school with a range of educational apps. It all starts at Midday on Saturday 22nd June and and goes until 3pm. For those who don’t know, Green Lane School is up at the top of Green Lane, past the entrance to the Hamptons, near where the horse stables and fields are.